DUSHANBE -- Tajikistan is working to solve security and environmental issues stemming from the Soviet Union's exploitation of the region's nuclear minerals. The USSR and its successor state, Russia, have a long history of violating the sovereignty of Central Asian countries, exploiting the region for its nuclear resources and using it as a testing ground for dangerous weapons. Tajikistan was the site of both uranium mining and uranium disposal. The Soviet Union carried out both processes without heed for environmental needs. Then Russia abandoned the sites in the 1990s with little to no remediation, as noted by the European Union in a 2017 statement. Tajikistan has 10 radioactive waste dumps, all in Sughd Province, where uranium mines and enterprises supported the Soviet military machine, according to the Aarhus Centre in Khujand. Some of the dumps contain enough materials for militants to scavenge and build into "dirty bombs", according to scientists and environmentalists. "These bombs, in the hands of terrorists who gain access to scientific discoveries on the internet ... could become a dangerous thing," Khotam Murtazoyev, a physicist at Khujand University, told Caravanserai. "You can't rule out the use of [salvaged uranium] as a weapon of mass destruction," he warned. Terrorist sympathisers could deliver uranium from tailing dumps "to Afghanistan, where it could fall into the hands of the Taliban or ['Islamic State' (IS)] militants," he said. It is essential to reinforce the neglected sites and set up security for them, he said. The tailing dumps represent a serious danger to the environment and to public health. The Degmay disposal site is considered the most dangerous toxic waste dump in Sughd Province. It contains 37 million tonnes of waste, including products transported from Uzbekistan and Kazakhstan in Soviet times. Originally 90 hectares, the site now covers 120 hectares because of the spread of contaminated soil through wind and rain. "This repository is dangerous because it lies near populated areas and riverbanks," Murtazoyev said. 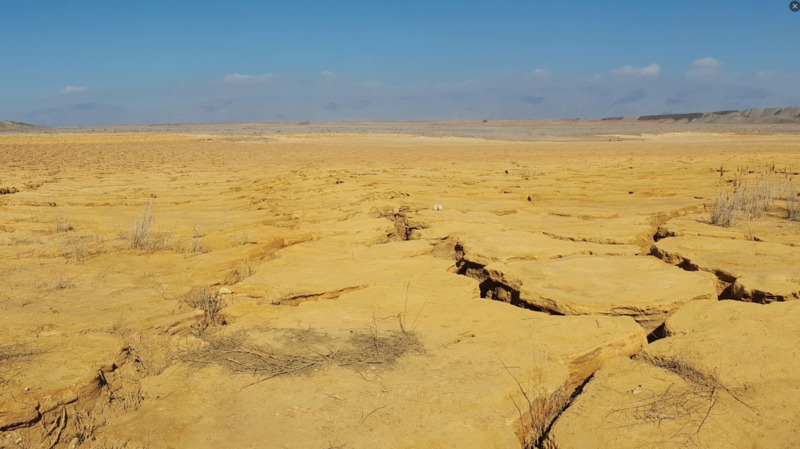 "Not only is the background radiation higher than the permissible norm in some towns ... but there is the threat of irradiated soil washing into the Syr Darya River basin during torrential rains," he said. In the 1990s, local residents "actively scrounged for ... materials and used them to build houses: rocks, pipes, boards and rebar", he said. By doing so, they raised their own risk of "cancer and large doses of radiation", he added. About €70 million (757.6 million TJS) is needed to rehabilitate Tajikistan's tailing dumps, which contain 55 million tonnes of waste, according to the Nuclear and Radiation Safety Agency. Tajikistan cannot afford to complete the sites' rehabilitation without international donors, said Mirzoshokir Khojiyen, the deputy general director of the state-owned firm Tajredmet (formerly Vostokredmet), which operates the sites. "That is why at international symposia, conferences and other forums, Tajikistan will have to prove the extent of the danger posed by its 'uranium legacy'," said Khojiyen. "Russia -- as the successor to the USSR and the consumer of the product -- and other Central Asian countries, which shipped uranium and the associated wastes here, should share equal responsibility," he told Caravanserai. "We are counting on support from the United States in this matter ... and on co-operation with other countries in the region in terms of regulating issues involving radiation safety," he said. With help from the International Atomic Energy Agency, the European Union and the European Bank for Reconstruction and Development, Tajikistan has secured €7 million (75 million TJS) to rehabilitate tailing dumps located in the districts of Mastchoh and B. Ghafurov as well in the Istiqlol industrial zone (all in Sughd Province), he said. It is essential to have trained specialists rehabilitate the radioactive waste dumps and to "set up training seminars in the [recently opened] regional training centre at the Nuclear and Radiation Safety Agency", Khojiyen said.